Following an invitation from His Eminence, Cardinal Jean-Louis Tauran, of the Pontifical Council for Interreligious Dialogue (PCID) on behalf of the Holy Pope, Birmingham’s Guru Nanak Nishkam Sewak Jatha (GNNSJ) embraced the opportunity to show faith solidarity and pray for peace in Syria, the Middle East and the whole world. 7th September 2013 was designated a Day of Prayer for Syria and the whole world. His Holiness the Pope was scheduled to have a vigil in St Peter’s Square from 7pm to 11pm. The Pope invited those of all faiths and none to join in the Day of Prayer in whatever way they could. Professor Upkar Pardesi, Vice Chairman of the Nishkam Civic Association, said “A request was made to the congregation to attend Sukhmani Sahib Prayers for peace and order in Syria. A message went out that the whole world is apprehensive as leaders are planning to push it even deeper towards bitter war. This looming cloud of destruction over a lot of innocent people was a serious threat to all. In war, not only do the soldiers suffer but also the whole of humanity. A core principle for Sikhs is the lesson of interdependence, interconnectivity and cooperative relationships gifted to us by our Gurus. In this present situation we can only pray to the almighty God to bless us with peace. The important purpose of human life is to be helpful to others. The congregation was requested to participate in this prayer to implore almighty God for peace”. He went on to say that, “Humanity needs religious solidarity more than ever before. We are happy to participate in His Holiness Pope Francis’ call for a day of prayer. I am reminded of a verse from Guru Granth Sahib Ji by Guru Amar Das Ji the 3rd Sikh Guru, the world is suffering, engulfed in the flames of mortal internal and external destructive forces. We plead to you God – through Your mercy please protect and save us all. No matter which door or sanctuary or place of worship we come from, take us in to Your refuge and rescue us”. His Eminence, Cardinal Jean-Louis Tauran, is no stranger to GNNSJ having visited the faith based organisation in June this year. His message from the Pope was embraced with the same love and affection that he and his prestigious delegation received at the centre. During their visit they were made aware of the bi-annual 11 day continuous prayers that are recited for the welfare of all and peace in the world. They also understood that the 26 million Sikhs in the world pray for the welfare of all each day they offer a supplication. Professor Upkar Pardesi, noted, “The Sikh-Catholic dialogue and the coming together to support a world prayer day further reinforces the continuing warm and open relationship between the Sikhs in Birmingham and the Catholic Church and I believe strengthens the infrastructure for engagement between Sikhs worldwide and the Holy See. We must continue to strengthen faith solidarity and bring communities together to stand up for those who are oppressed in the world”. 1. 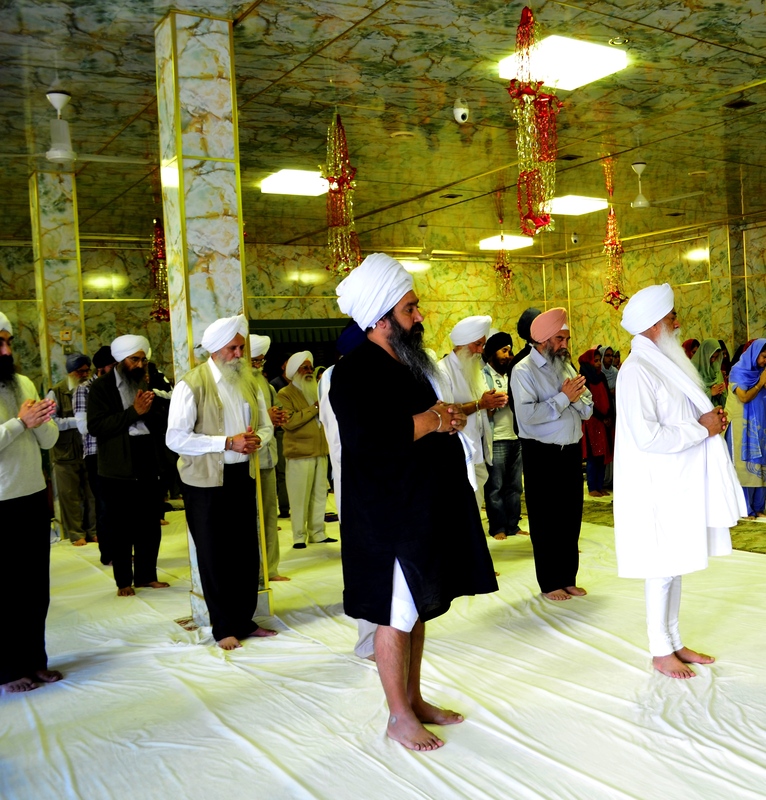 Guru Nanak Nishkam Sewak Jatha (GNNSJ) is a multi-faceted, faith based organisation practicing and propagating the Sikh Dharam (faith) in the name of Guru Nanak Dev Ji (1469-1539). It has been involved in selfless intra-faith work in Kenya and India informally since 1950, and formally in the UK since 1978 as a registered Charity through five centres for excellence in the inner-city area of Handsworth, Birmingham, where its Headquarters are based. GNNSJ also has sister organisations in Leeds and London (UK) and branches in Kericho (Kenya) and Amritsar (India). Significant achievements have been made by GNNSJ in the conservation and restoration of historical Sikh shrines. For his services to religious faith propagation, community service, education and research, Bhai Sahib has been awarded two Honorary Doctorates from Birmingham’s Universities. He is passionate about values-based education and is the Patron of the Nishkam Education Trust which has set-up Nishkam Nursery (2009), Nishkam Primary Free School (2011), Nishkam Secondary School with 6th Form (2012) and Nishkam School West London (Sept 2013). Bhai Sahib, an international promoter of faith and service, was created a Knight last year by the Holy Father Pope Benedict XVI in recognition of his dedicated commitment to working for peace among people of all faiths. The Millennium Development Goals (MDGs) are eight international development goals that were officially established following the Millennium Summit of the United Nations in 2000, following the adoption of the United Nations Millennium Declaration. All 193 United Nations member states and at least 23 international organizations have agreed to achieve these goals by the year 2015.